What Is Specialty Sliding/Swinging Door Hardware? One common question we receive quite frequently from people is what exactly is specialty door hardware for sliding or swinging doors and how is this different from standard door hardware you would find at your local home improvement center? One of the key defining factors used to distinguish specialty hardware from standard hardware is its use of applications and unique industrial-grade strength. First and foremost to consider is the building application. 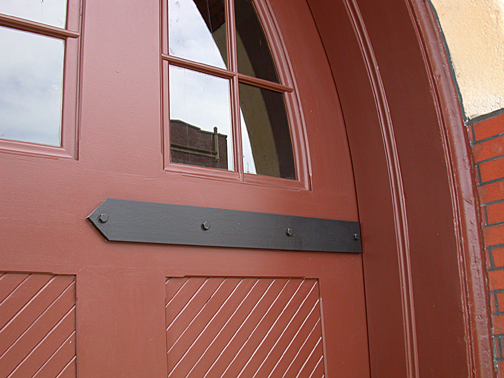 Specialty door hardware is typically used for large and heavy doors outside of the parameters of standard doors. Examples: Residential entry doors that are 9 feet tall with two 48” wide door leaves (each door is called a ‘leaf”), or a reclaimed barn door that is 15 feet wide and 8 feet high you’re using as a restaurant room partition. The hardware must be able to hold heavier doors, in weights ranging from 200 pounds up to 1,000 pounds. The hardware must be adaptable to larger sized swinging and/or sliding doors where they range in size from 7 feet to 10 feet tall or higher, and widths up to 20 feet wide. Secondly specialty door hardware is made from heavier gauge steel to be able to provide a higher quality product that lasts a long time. As such, there are much tighter tolerance levels compared to standard hardware. 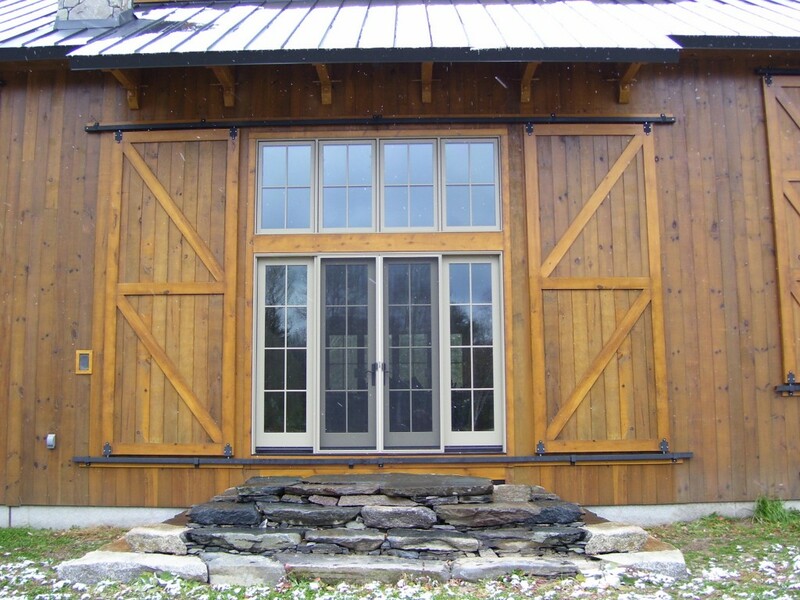 Specialty hardware can be used for both exterior and interior applications. In addition, the coatings and finishes used on specialty door hardware is thicker to withstand corrosion better. In cases where larger sized doors and heavier doors are being used with specialty hardware, it is important to take into account the proper support mechanisms required for mounting to ensure the weight distribution is balanced correctly. As you can see, there is a wide variety of specialty hardware available to use for a numerous types of projects. While some people might think this type of hardware is only used in commercial applications, they would be wrong. Specialty door hardware is well suited for a range of residential door applications. For instance, this timber frame home features heavy duty sliding doors in addition to smaller entry doors. When closed these oversized wooden doors protect the smaller entrance doors and shield the remotely located home from the elements. With specialty hardware there are different sizes, styles and finishes to choose from to make it easier to match your décor and door. For more information about specialty sliding/swinging door hardware for residential, commercial, and industrial applications, please feel free to contact the hardware door solution experts at RW Hardware today by calling 800-253-5668. We have been manufacturing heavy duty high quality specialty door hardware since 1880.